Credit card system has proven itself to be a convenient way for individuals to complete transactions. Despite its great benefits, credit card system also brings in great privacy risks to users. The card issuing bank knows the details of all transactions made by every user, including transaction date, amount, and merchant. These contain sensitive information of the users which may reveal their whereabouts, preferences, daily routines, etc. 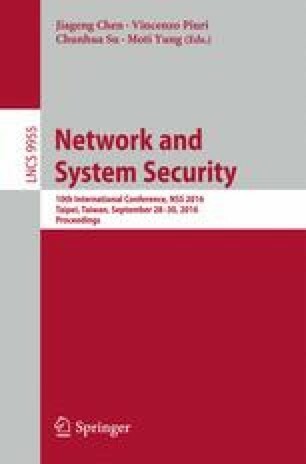 In this paper, we build privacy preserving credit card systems that hide the expenses of individual users from the bank, while preserving most of the features provided by the current credit card system at the same time. Sherman Chow is supported by the Early Career Award and the Early Career Scheme (CUHK 439713), and General Research Funds (CUHK 14201914) of the Research Grants Council, University Grant Committee of Hong Kong.